López during the interview. ORIOL DURAN. Things are good for Sergi López. The actor from Vilanova i la Geltrú has just had two new films presented at the Cannes film festival, Terry Gilliam’s long-awaited The Man Who Killed Don Quixote, and one of the festival surprises, Lazzaro felice, from Italian director Alice Rohrwacher. Then he was in Senegal filming Staff Only, by Catalan director Neus Ballús, while also touring his one-man theatre show, Non solum. A lot has been happening lately, but all good things. It is a great moment. It happens a lot in cinema: you have two or three uncertain years, and then everything starts happening at once, and you never quite know why. It is what this job is like. Tell us about Gilliam and his Quijote. He is a very special guy, over-the-top and wonderful. He makes fantastical and alien films, which is why he loved the novel Don Quijote. It is right up his alley. He got a script together 25 years ago and tried to film it. But at the time everything went against him: the set was flooded, in Las Bardenas desert, where it only rains every thousand years! Now he has gone back to it and has made a film that is iconic in its own right. It was amazing. I have a small role, a convert who pretends he’s Christian, but who gets caught praying to Allah and he has to try and get out of it. I asked him if he wanted it to be realistic and he said “No, Monty Python style!” In other words, over-the-top, exaggerated, histrionic. He is mad, a genius, a director who seems to be doing circus, with lots of energy and who likes to laugh but who at the same time has a deep vision. There was also another film of yours at Cannes, ‘Lazzaro felice’, which won best script. Alice [Alice Rohrwacher, the director] is awesome. She makes outsider cinema, far from the establishment, and she has made a film that is very political without talking about politics. It is a very deep film, very human, with a central character, Lazzaro, who is not played by an actor but rather a real person. Alice came across him in the street and spoke to him, as he is a very special guy, with an incredible look. Everything is down to Alice. She is smart, loving, with sensibility and real grace. You’ve just been filming in Africa? Yes, with Neus Ballús. I spent two months with her in Senegal filming her first feature film, Staff Only. It was great, with a team mostly half Catalan and half Senegalese, but which also included Chileans, Brazilians, all sorts. We were four professional actors and the rest were amateurs. I love that sort of thing. This film will cause surprise. A Catalan production in these political times is getting rare. The situation in Catalonia is tragic. The film industry has never been a strategic sector here, and direct rule made that worse. Here we treat it as if it were the sock-making industry, when it is key to the culture. That is something the French see clearly. For the French, making films is not just to make money. No. They are aware what it generates thought, and that it shows the world what type of country and society they have. For them, the cinema is a sector that is there to explain, and to help their existence. They clearly see it as a state structure. Here things were bad before direct rule, and with what happened with TV3’s tax bill everything fell apart. There are no grants. And no one seems to care. 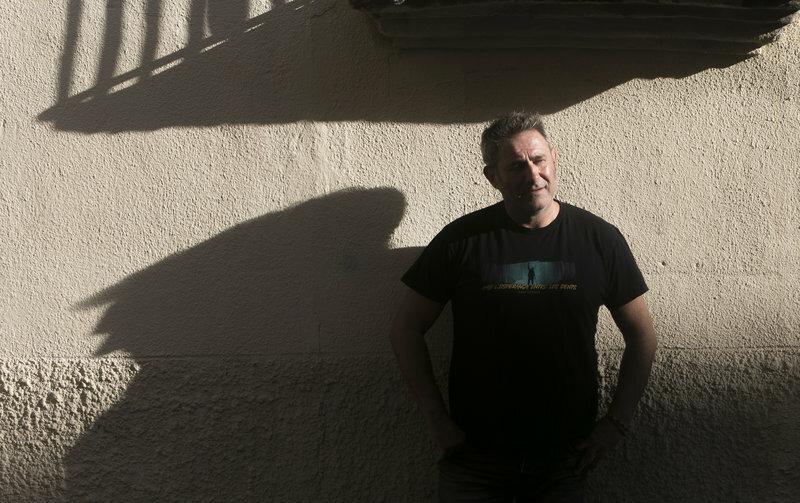 In Spain, but also in Catalonia, the words culture and cinema have been cheapened. They have lost the magnitude and prestige they had. No one thinks there’s anything wrong with leaving the theatre and cinema without any money. Meanwhile, technicians and actors are leaving, for France, to the US, to the UK, and that just makes things worse. In an even faintly healthy democracy it is impossible to begin a project with a guy who has been elected while in prison or living abroad. The guy that was elected, who people voted for! What is that about? For me, even though there is a certain disenchantment, with the Catalan government going back on a lot of things (wasn’t Puigdemont supposed to be reinstated? ), I see people discouraged and yet with their will to resist intact. We’re in uncharted territory, and it’s normal people are scared. But I think that there is a dynamic at play that can be reversed. On October 1 I saw guys in my neighbourhood, where everyone is an immigrant and who do not belong to any political party, defending their school and their neighbours. There has been a popular revolt, and a questioning of how power and decision making happens. We have seen that we have power. And I hope that it does not end up deflating, and that the struggle continues. López is a familiar face in cinemas but his first gig was in the traditional nativity play, Els pastorets. Yet, that experience showed him that what he wanted to act. He began improvising on the streets of his hometown of Vilanova, but once he had enough money, he went to study in Paris. There he met the director Manuel Poirier, with whom he made four films. His fifth, Western, took the Cannes film festival by storm. Since then, López has not looked back and has become Catalonia’s most international star of the big screen.